PROBIOTICS HOUSE TIPS SERIES #4 – SHAMPOO DETOX! I have been studying that the hair needs a transition time from liquid shampoo to natural hair shampoo bar. Here is what I found out. Your Hair May be Going Through Detox! As commercial shampoos strip away the natural protective oils, your scalp and hair become dry. Your dry scalp now produces more oil to compensate. The harsher the shampoo, the more your hair and scalp dry out and the more oil your body produces. 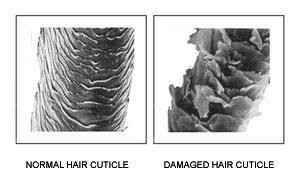 Your scalp becomes conditioned to this vicious cycle of excess oil production. As you transition to a natural shampoo bar, your scalp needs time to detox, to re-balance scalp oil production. This can take anywhere from a few days to a few weeks and for some even longer. During this transition period hair may feel extra greasy or heavy. For most there is a light at the end of the tunnel as your scalp finds its proper oil balance. If your hair does not seem to be adjusting to the shampoo bars, it may be due to your water. The characteristics of your water can determine how well (or poorly) your shampoo and conditioning routine works. The term “hard water” is used to describe water that has a high mineral content, usually calcium and magnesium but may also include bicarbonates and sulfates. The degree of hardness becomes greater as the mineral content increases. The term “hard water” was originally coined to refer to water that was difficult or hard to work with. Hard water requires much more soap, shampoo, or detergent than soft water; and the minerals in hard water can decrease soap’s lathering capabilities. Studies have also shown that hard water can be an eczema trigger. The calcium and magnesium in hard water seem to cause skin to become more dry which may lead to irritation. Also since hard water requires much more soap, shampoo or detergent than soft water, people living in hard water areas tend to use more which can aggravate eczema. You need water to shampoo your hair and hard water makes it harder to wash your hair. Each hair shaft is made up of little scales, like shingles on a roof. Hard water tends to make the scales stand up, which makes your hair feel rough and tangly. Since your hair is tangled and rough, it is more difficult to rinse out all of the soap. Soap is less effective in very hard water because its reacts with the excess minerals to form calcium or magnesium salts. These are not easily soluble in water and can result in soap film. Washing hair in soft water will have a different result because it leaves fewer insoluble deposits on the hair. In commercial shampoos, natural soap has been replaced by synthetic surfactants. What’s the difference between a synthetic surfactant and natural soap? Soaps are biodegradable products produced from natural, renewable resources like coconut oil. Synthetic surfactants, like Sodium Lauryl Sulphate (SLS), Sodium Laureth Sulphate (SLES), Ammonium Lauryl Sulphate (ALS), and others, are made from petrochemicals and created in a chemical factory. Although these synthetic surfactants do not react with hard water minerals as much, they do not produce the lather that consumers like. The lather comes from the addition of synthetic lather or foam boosters–like cocamide monoethanolamine. So, these detergent shampoos lather well in all types of water and rinse off easily and completely. That’s their only good point. Sadly, detergent is very harsh, and damages your hair. It cleans out dirt and strips out the oil, including the natural oil that makes your hair shiny and strong. Conditioner was introduced as people noticed that detergent shampoo took all of the oils out of their hair and left it feeling dry and brittle. The oils your hair needs to be healthy come naturally from your scalp. Conditioner simply puts artificial oils in your hair so that you do not notice the damage done by your detergent shampoo. Natural soap is better for washing hair, because it does not strip the oils that are naturally in hair. Commercial shampoo is detergent. Detergents are really excellent cleaners (for dishes, laundry, and garage floors)! Shampoo manufacturers love to spread misinformation claiming that soap is “harsh.” But, the problem with using a natural shampoo bar is often in the water, not the soap. If your water is not too hard, just use your all natural shampoo bar and a bit of conditioner. The conditioner will help the scales on your hair lie flat, and allow the last of the soap to rinse out. Dear Rakesh, you should take 1 tablespoon per day. Do not need to be empty stomach or before meals. It can be consumed any time of the day, with any stomach condition. It is not medicine, it is a Probiotics beverage. Also you can consume it juices, or soups, or (as Me Margarita) dressing salad, or smoothies…your ideal meal. Regards, Probiotics House Team.